“Soldier's Joy” is one of the oldest and most widely distributed tunes in the English-speaking world. 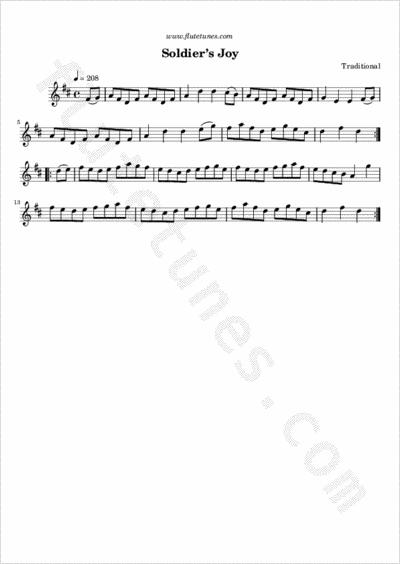 The tune appeared in late eighteenth-century sheet music and dance instruction manuals on both sides of the Atlantic. By the nineteenth century, it was published in numerous books of fiddle tunes, usually classified as a reel or country dance.